I grew up in beautiful Puerto Rico. When I was a young teenager I had a friend whose parents were members of the Hotel Caribe Hilton which has a lovely and very cozy beach. I would just love to go there with them. Amazing Piña Coladas (we only got to drink the virgin version of it) It has a wonderful tropical ambiance. Great bar with lovely live music at night. Well, I fell in love several times in this very hotel. When I was choosing where to make a Mother’s Day photo shoot, I had no doubt in my mind where I wanted it. In the very special gardens of the Caribe Hilton Hotel. Since I have 3 boys. I borrowed my brother’s daughter who is not a model (although she could be, she could also very well be a movie star) she is a gynecologist. This photo shoot meant a lot to me. So many memories. Such a beautiful place. Such a lovely Mother’s gift. Hope you enjoy it as much as I enjoyed doing it. 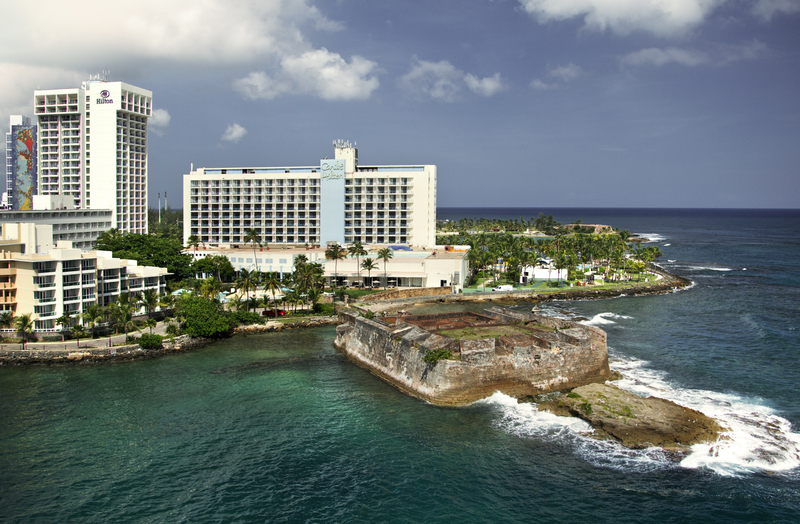 In early 1946, as part of the Puerto Rican industrialization effort known as Operation Bootstrap, the Puerto Rico Industrial Development Co. decided to erect a modern luxury hotel. The facility would be owned by the Commonwealth of Puerto Rico, but leased to the multinational hospitality operator that provided the better bid. The hotel would have 300 bedrooms, the necessary ancillary facilities, and located next to Fort San Jerónimo in Puerta de Tierra. A competition was held to select the design, with three architectural firms in Puerto Rico invited: Schimmelpfennig, Ruiz y González; The Office of Henry Klumb; and Toro Ferrer y Torregrosa. Two additional firms from Florida were also invited to participate: Frederick G. Seelman from Palm Beach and Robert Swartburg from Miami. These two firms submitted Spanish Renaissance-style designs, while the three Puerto Rican firms presented modern designs inspired by the International style. The final design chosen was by Toro-Ferrer, who also designed the Modern Movement-style Supreme Court Building in San Juan. 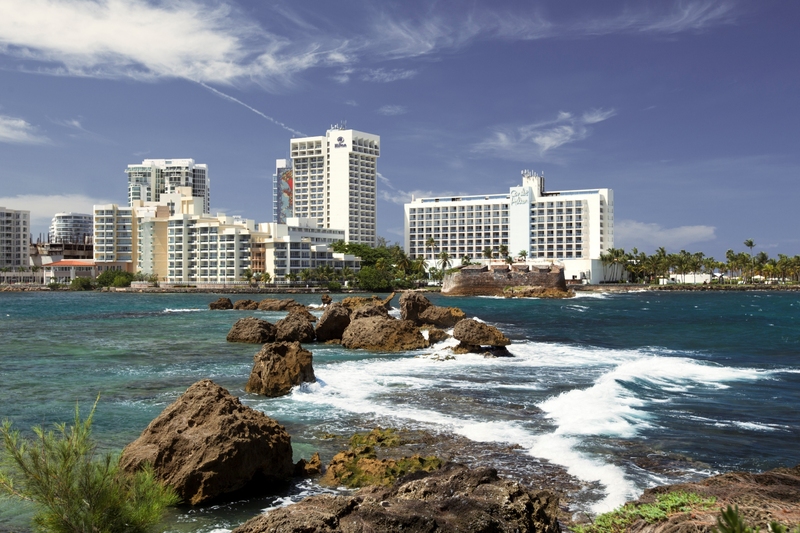 To operate the hotel, the Puerto Rico Industrial Development Co. invited seven leading American hotel firms. Conrad Hilton, being from New Mexico, opened his letter back with “Mi estimado amigo” and won over the Puerto Ricans. The hotel opened on December 9, 1949. It was Hilton’s first hotel outside the Continental United States and made Hilton the first international hotel company. The government-backed Puerto Rico Industrial Development Corp. (PRIDCO) spent $7 million to build and furnish the hotel. After it was built, the government leased the hotel to the Hilton Corp. on a 20-year lease. The hotel was the first in Puerto Rico to offer radios in every room and individually-controlled air conditioners. Guests for the grand opening included Gloria Swanson, Eastern Air Lines President Eddie Rickenbacker, David Rockefeller, and numerous other celebrities and notables. The hotel claims to be the birthplace of the Piña Colada. In 1954, bartender Ramón “Monchito” Marrero spent three months creating a mix of rum, coconut cream, and pineapple juice. The original hotel was expanded over the years from 300 to 646 guestrooms. After managing the hotel for 48 years, Hilton International bought the property in 1998. Hilton closed the hotel the following year for a complete renovation, lasting nine months. It reopened on December 25, 1999, celebrating its 50th anniversary after $50 million in renovations. In 2005, the hotel was expanded with the huge Paseo Caribe complex, including shops, restaurants, and 264 villas marketed as the Condado Lagoon Villas. The Piña Colada was created and first served at the Caribe Hilton on August 15, 1954 by bartender Ramon “Monchito” Marrero. Spending three months creating a mix of rum, coconut cream, and pineapple juice, Monchito personally served his iconic creation for 35 years while he worked as a bartender at the hotel. In 1978, the Piña Colada was declared the official drink of Puerto Rico. Astonishing Gala Dresses by Harry Robles; Hotel: Caribe Hilton; My jewelry by Joias; Annie’s Jewelry: Private collection. Hair & Makeup: Alfredo Monterola: Photography: Pablo Díaz. Warm thanks to Betty González from the Caribe Hilton Hotel for making all this possible. 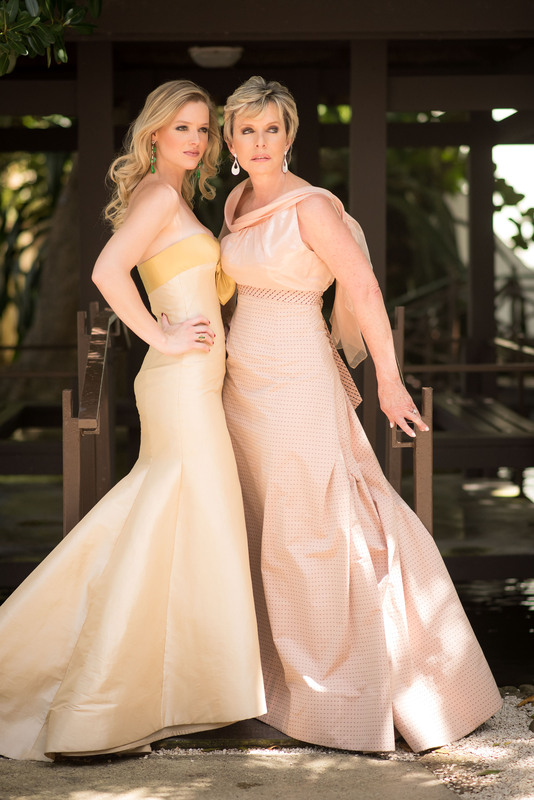 To be continued… More beautiful dresses from Harry Robles. 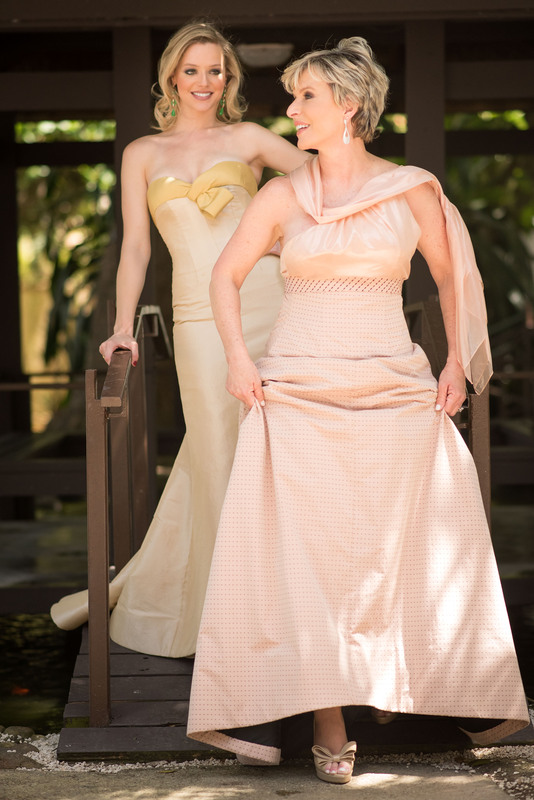 Photo shoot at the Caribe Hilton Hotel. Stay tuned! 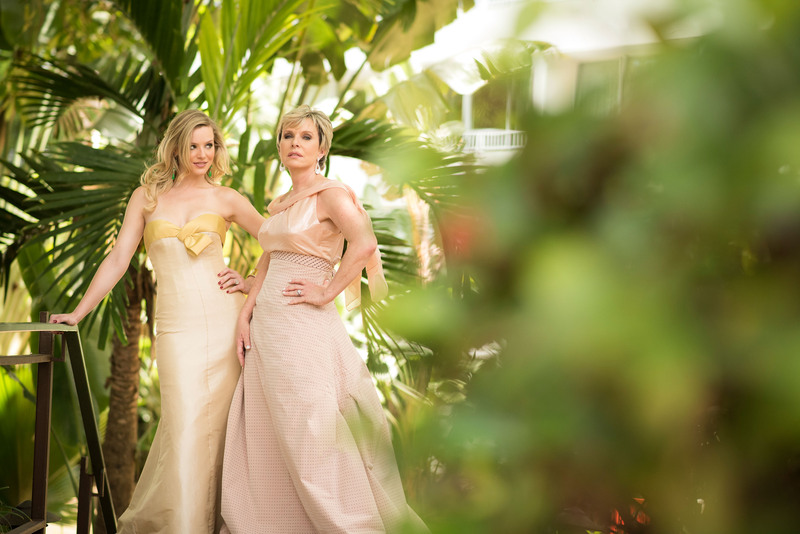 Bellisimas las dos Annette y Annie…….no les falta un detalle de belleza y elegancia……y el sitio escogido para las fotos no pudo ser mejor…..tambien guardo maravillosos recuerdos del Caribe Hilton…..
Gracias Tessie. Si el hotel es bellísimo. Les deseo un muy feliz “Dia de las Madres”…. Igual a ti Gloryan. Y muchas gracias! Wish you a very Happy Mother’s Day Lillie to you too. Thanks for all your support! Flor, qué bueno que te gustó. Si quieres seguirme diariamente, puedes ir a Facebook y buscar: Annette Vaillant The Blog. Hermosa como siempre. Deroche de belleza y elegancia. Las fotos son preciosas, escogistes el lugar perfecto. Se te quiere. Gracias Sandra Santiago por esas hermosas palabras! Un abrazo. Gracias Sandra. Sí este hotel es precioso. Felicidades a las dos en el Día de las Madres. Bello lugar, bellos trajes, bellas damas. Cariños. Muchas, muchas gracias y muchas felicidades a tí y a toda tu familia. Un abrazote.